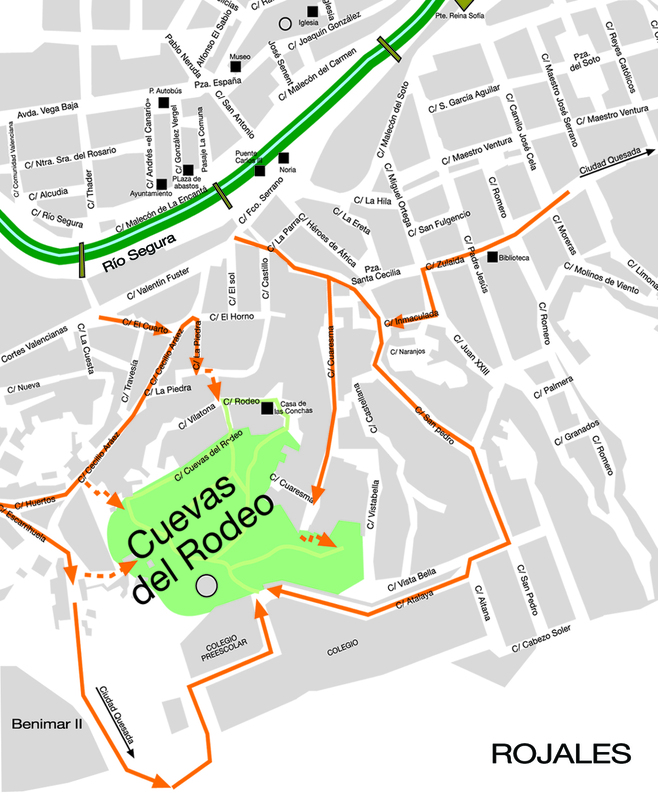 “Las Cuevas del Rodeo” are located in Rojales, a village in the south of Alicante province. If you come by car the best for parking is Calle Vilatona, near to the towncentre. You can arrive by bus from the main cities, there is only a 5 minutes walk from the bus station. From the Alicante and Murcia Airports we are only a 30 minutes drive away.